Official home football shirt for QPR FC for the 2018/19 season, supplied by Errea. We are an official Errea supplier. New with tags. Please note that these shirts are in EU sizes. - QPR 1882 printing inside the neck. 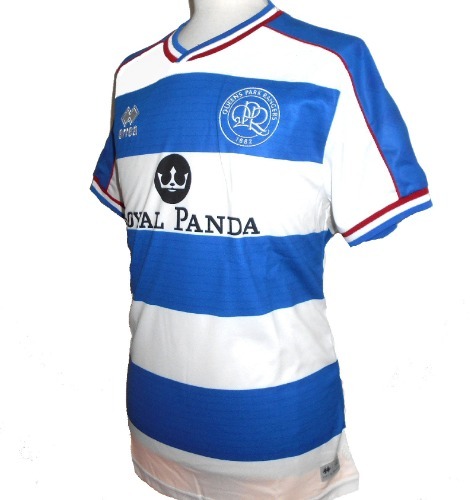 - Blue and white hoops with red trim. - Sponsors logos on chest and lower back. - Check out our many photos of the actual item - click 'more images' above. - Adult EU-Large (UK/US- Large). Chest 44", length 29".